While the Together Network leadership team is led by Lyn Packer, we develop vision and direction for the ministry, and ensure that the women in ‘Together Network’ are well cared for, together as a team. As part of that the leadership team also pray for the community members and give pastoral support where needed. Lyn has been in ministry for over 40 years and understands the unique pressures and challenges of being a woman in ministry. Over the years she has led youth meetings, women’s study groups, pastored in churches, ministered itinerantly, and pioneered ministries. Currently Lyn is co-leader of XP Ministries New Zealand, along with her husband Rob. She also facilitates the New Zealand Prophetic Network and is a part of the New Zealand Prophetic Round Table. Lyn ministers primarily in the prophetic and teaching and is also well known for her creativity. She is the author of several books and many training courses, and is also one of the pioneers in the area of prophetic art in New Zealand. In her earlier years Lyn pioneered the use of dance in worship in New Zealand. Lyn comes from a childhood filled with poverty and abuse and yet today, because of the Father’s love, she has found a place of wholeness and health. Her background enables her to relate to many people and her very evident healing brings hope and healing to those she ministers to. Her authenticity endears her to people and enables her to minister across the board to a variety of people. Colleen is a woman with a real heart to see passionate, strong, well equipped woman leaders raised up around the world. 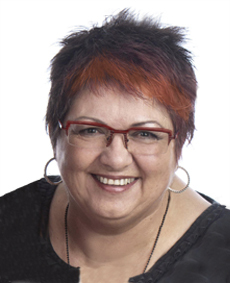 As principle and founder of ‘GO’ Ministries International, Colleen is ordained under the New Life Churches of New Zealand and is an associate minister in her local church, Living Waters Christian Centre, Christchurch, New Zealand. 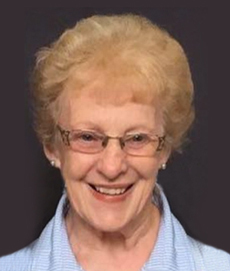 For over 35 years she has ministered extensively throughout New Zealand and internationally (in Australia, the Pacific, Africa, Asia, Germany and England). Colleen has a wealth of life and ministry experience to share. She knows what it is to be successful in many areas of life and also what it is like to be broken, but also to rise again to a place of healing and victory. Because of this she able to relate to other women going through hard times with empathy, while at the same time giving wisdom that comes from the Father. She has very real keys to victory which she skilfully uses to see people set gloriously free to rise into the fullness of their identity in Christ. Karina is passionate about creating authentic, connected Kingdom Family where powerful sons and daughters are propelled toward their destiny. As well as being a Pastor at Bethel New Zealand and founding a neurological health and training business, Karina has seen genuine community transformation partnering with local leaders in Uganda and South East Asia over the last ten years. Above all else, she values the presence of God and longs for heaven to invade earth. Our apostolic advisors are women and men who have many years of ministry experience in differing areas, and function as apostles or mothers and fathers in the faith in New Zealand. Their role is to be spiritual advisors and support to Lyn and the core team and an accountability support to both the leadership team and members. They will also provide an accountability structure for Together Network and give help should any issues arise that need mediation. Dayle and her husband Ian pastor Invercargill Christian Centre, which is a part of the ‘Acts’ churches movement in New Zealand. They have been in ministry now for over 35 years and are both recognised within New Zealand and abroad as carrying an apostolic mantle. 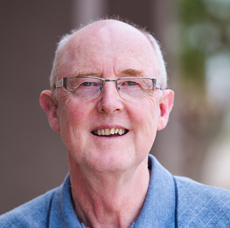 Dayle is the NZ Regional Facilitator for Bethel Sozo New Zealand. Dayle's testimony is of recovery and restoration, proclaiming a hope and wholeness through the healing power of Jesus. They both minister in the prophetic and move powerfully in the Holy Spirit in word of knowledge, healing, wholeness, and the impartation of Holy Spirit’s power and presence. Their warm and engaging style of ministry is powerful and enthusiastic, with a disarming humour that enables them to minister effectively to young and old alike. Anne is one of New Zealand’s national treasures, a true gift from God to the nation who carries and exhibits the heart of God in a very real way. Anne has been in ministry now for over 50 years and has a wealth of ministry experience and knowledge to share. She and her husband Peter pioneered the New Life stream of churches in New Zealand and beyond, and founded and pastored Christchurch New Life Centre for many years. They were early pioneers of the moving of the Holy Spirit in New Zealand. Anne pioneered a national conference for pastors wives and women in leadership which was one of the first such conferences for women in leadership in New Zealand. Anne carries an apostolic anointing, she is a formidable prayer warrior and carries an incredible gift of encouragement that builds people up and empowers them like few we know. 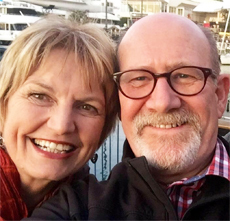 Janet and Wes Chambers have been senior leaders of Living Waters Christian Centre, Christchurch, for over 25 years. Living Waters is a vibrant church whose work in the community and the nation has borne great fruit. They have been involved on the leadership of the New Life Churches in New Zealand as regional leaders for many years. Wes is recognised both in NZ and overseas as an Apostle and Janet as a Prophetess. Janet oversees the New Zealand Prophetic Round Table – a gathering of national prophets. Both Wes and Janet have a very real heart to see women being all God has created them to be. Here are a couple of photos of the Together Network leaders taken at the Behold Conference in Christchurch in February 2019. Unfortunately Karina Schreurs was not able to be with us at that time.